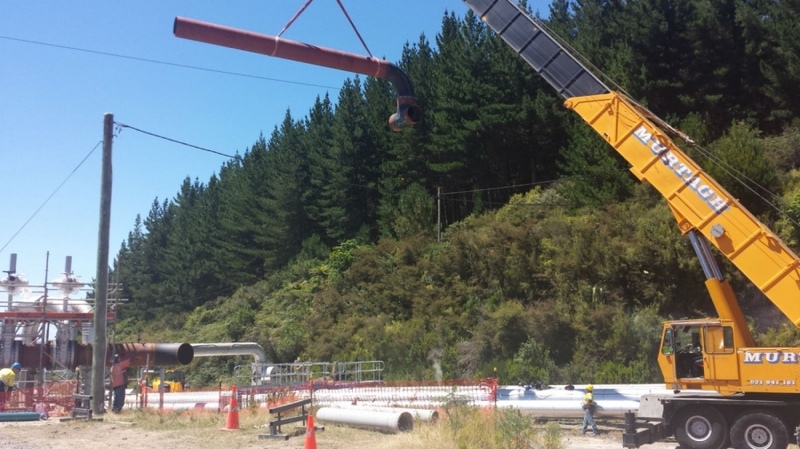 This Mangaio Mini Hydro scheme for Genesis Energy is a single 2000 kW water turbine driven generating set located 10km North of Waiouru on the Mangaio Stream a tributary arm of Lake Moawhanga. Tunnel plug, penstock pipes, bifurcation and outfall transition during planned outage. Works presentlyin progress include underground penstock and structural steel within the powerhouse. PFS was responsible for the shop fabrication and onsite installation of the mechanical components as shown below. Powerhouse Access Platforms and Walkways, Monorail and Roof.